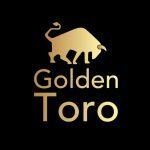 Golden Toro Accounting, founded by Jonathan Wiegand, is a bookkeeping company in Virginia offering accounting and taxation services, financial statement preparation, payroll support and consulting services. It also provides QuickBooks setup, training and support. For package inclusions and details, click here.